Apartment "Bilo jidro" is located in family house at quiet part of town Hvar. 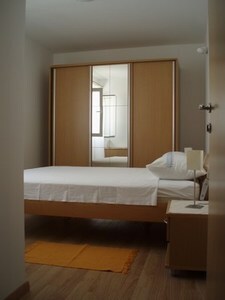 This apartment is 68 m2 big and it has 2 bedrooms for four persons. 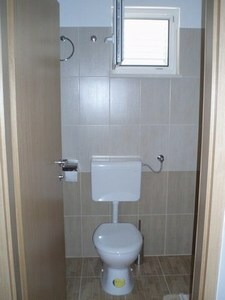 It also has 2 bathrooms (one with bath tub and other with douche), kitchen with all devices and living room. Balcony lays at south side of house and it looks at sea. 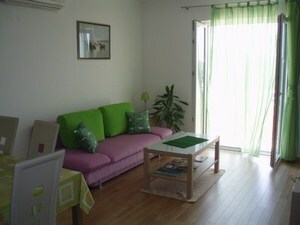 Apartment is air-conditioned, with TV-SAT, DVD-player and CD-radio. And for your car there is a private parking place in front of the house. Center of the city and nearest beach are 800 meters far away. Market is just 200 meters far away. Other facilities on request: hair drier, iron and grill. We are opened during entire year. Welcome! Apartment Bilo jidro has 2 rooms with matrimonial beds - max. 4 persons. 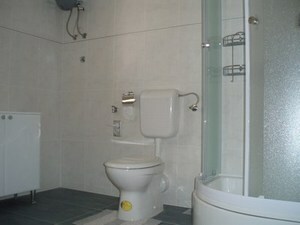 It is ideal for 2 couples or family with two childrens. Bed linen and towels are free of charge. In winter period quilt is also free of charge. 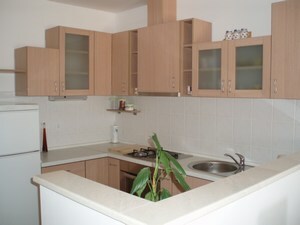 Apartment Bilo jidro is situated in quiet place of city Hvar. It is only 10 minutes away from center ( main square ) by foot or few minutes with taxi / car. For no-shows guest pays all amouth. Airport Split is 20 minutes from city Split. You can take bus or taxi from there to Split, port Split. Once You at the port, take speed boat for city Hvar (1 hour from Split to Hvar) or boat for port Stari Grad (1:45 hours). In port Stari Grad take bus or taxi for city Hvar. It takes 10-15 minutes to come in Hvar. Once You are in city Hvar, we are 10 minutes away from center (main square) by foot, or 2 minutes with taxi or car.